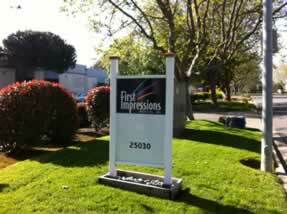 Welcome to First Impressions Printing, Inc.! 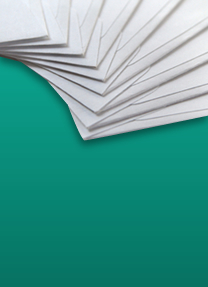 We proudly serve trade printers in the San Francisco Bay Area and throughout California with our full service envelope manufacturing capabilities. Owner Gary Stang, an experienced envelope manufacturing and printing craftsman, started First Impressions Printing in the San Francisco Bay Area in 1989. Gary realized the need for building valuable relationships with trade customers and envelope printers while supplying them with custom envelopes and professional stationery. Even from the company’s small beginnings with just one press and minimal staff, First Impressions Printing has been focused on serving its customers in a friendly and efficient manner. The company has grown substantially over the years to meet a expanding need for quality wholesale envelope manufacturing services at competitive prices. Still located at the heart of the San Francisco Bay Area, First Impressions now occupies a 10,000 square foot production facility with 9 presses and 14 team members. While the company has grown, our attention to personalized customer service still remains. From that first impression with our customer service staff to the first impression your customers have with our products, we strive to provide excellence and quality. By building ongoing relationships with our trade printers, we can ensure products and services that best fit your unique needs. First Impressions Printing, Inc. provides full service manufacturing and printing services for custom and standard envelopes, professional stationery, and direct mail pieces. Our clients are generally those in the print trade industry, including Print Brokers, Trade Printers, Envelope Printers, Graphic Artists, Direct Mail Houses, In-House Print Shops, and Marketing/Ad Agencies. Our centralized San Francisco Bay Area location makes it possible to provide quick and cost effective delivery service to all of our California clients.